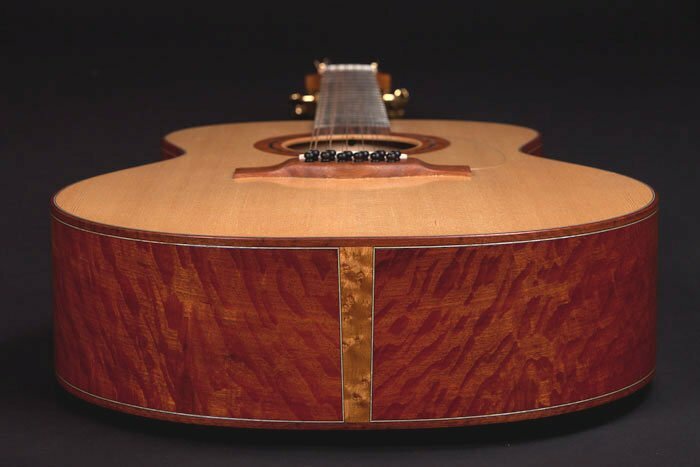 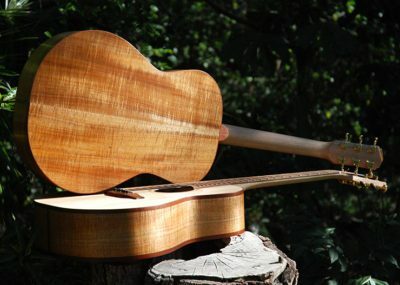 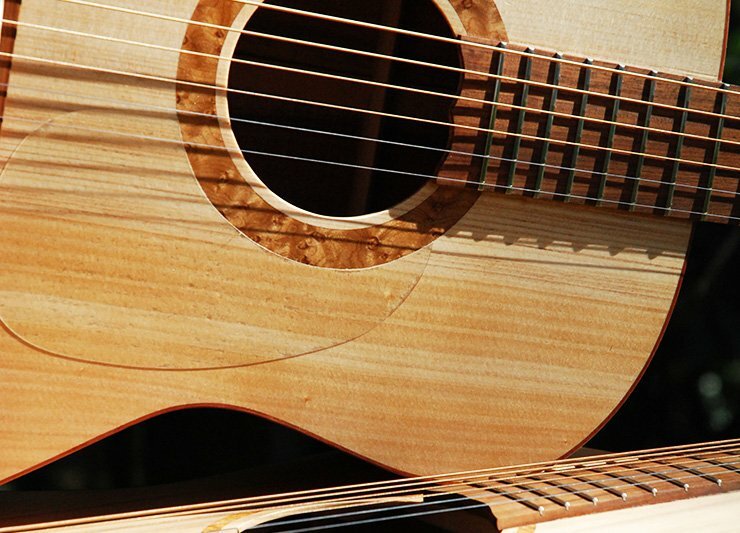 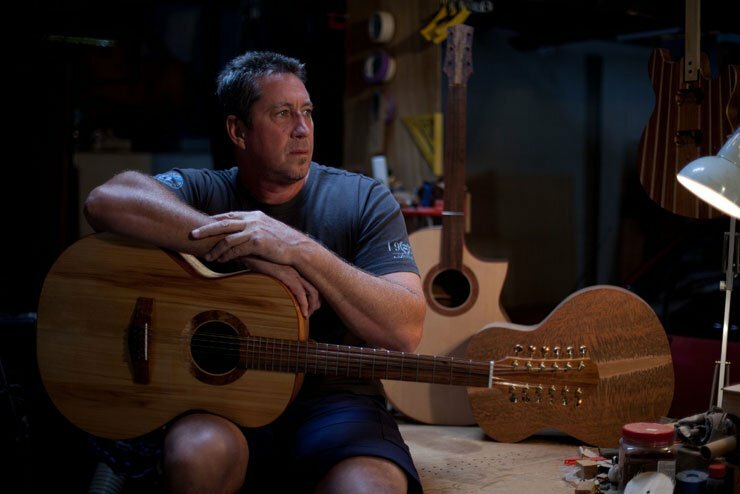 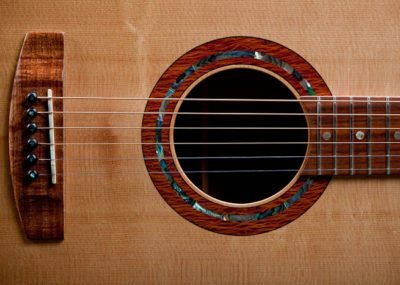 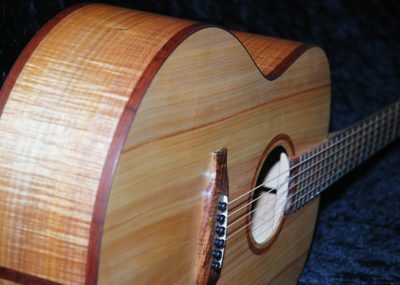 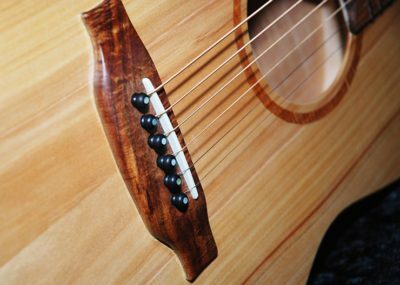 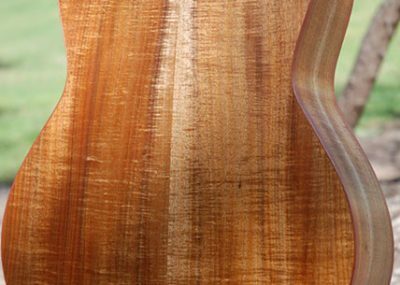 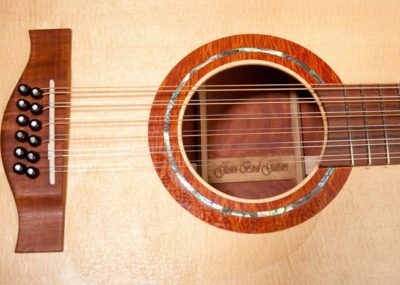 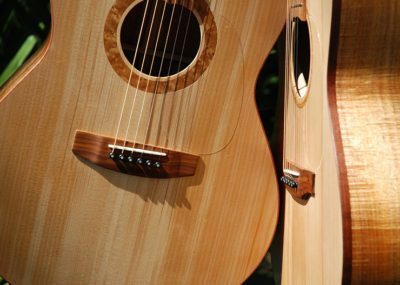 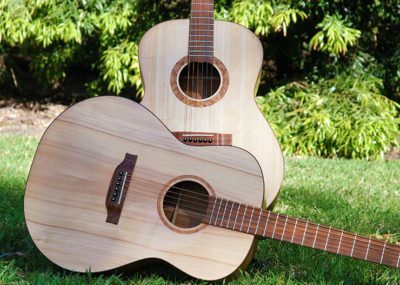 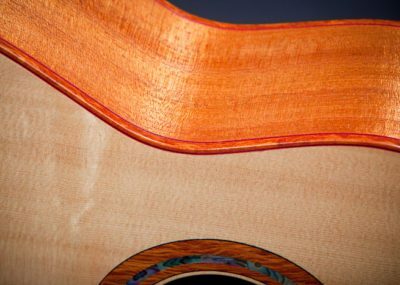 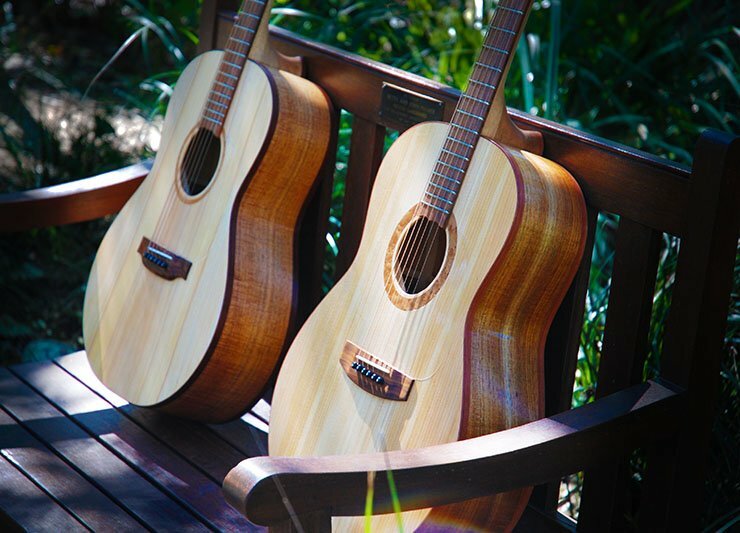 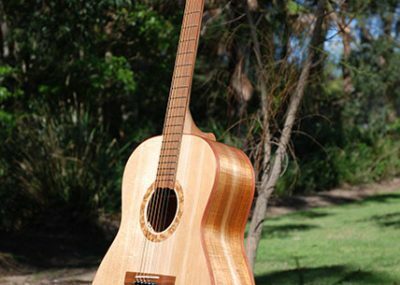 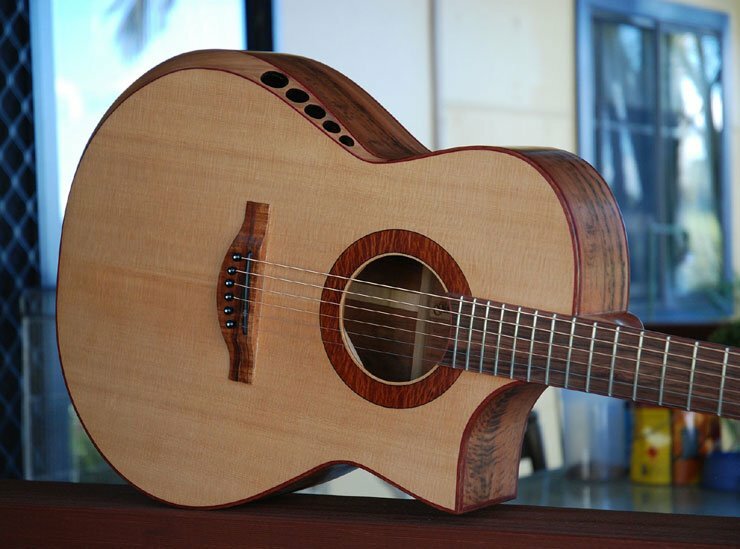 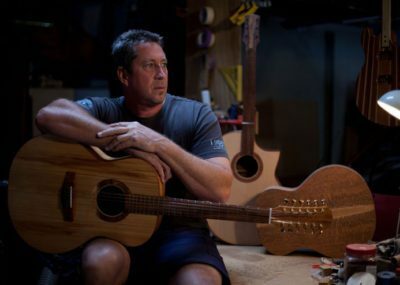 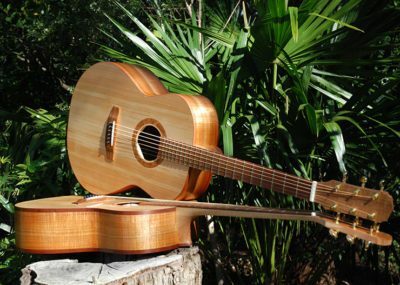 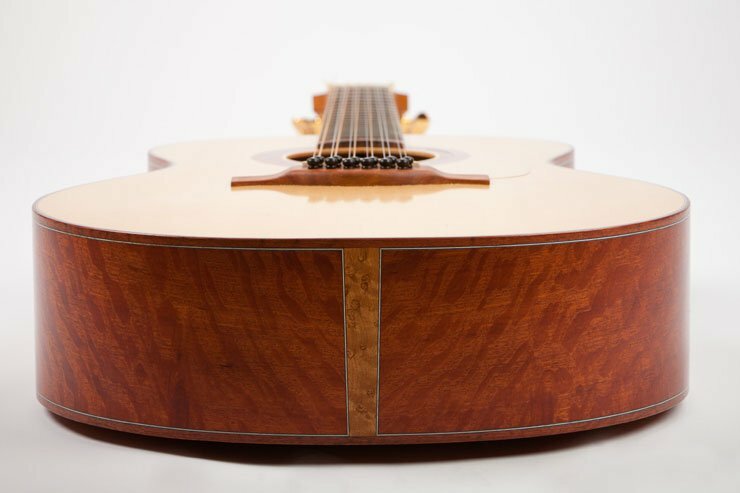 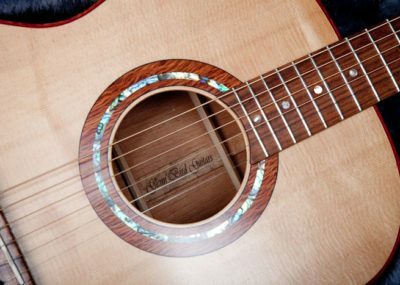 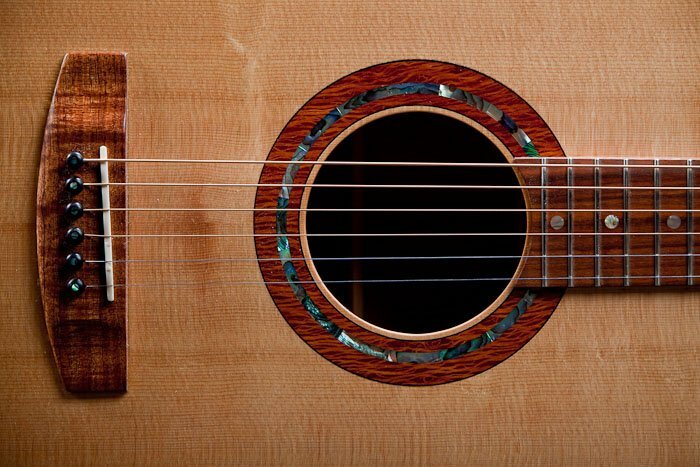 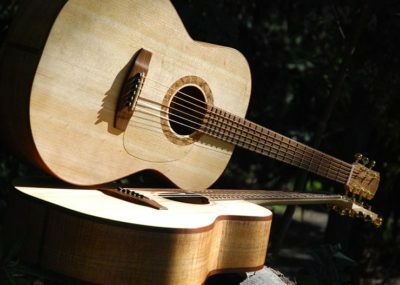 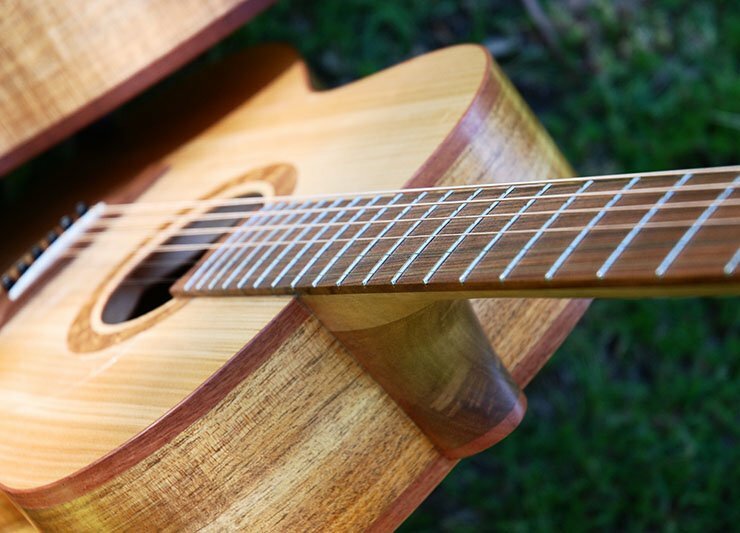 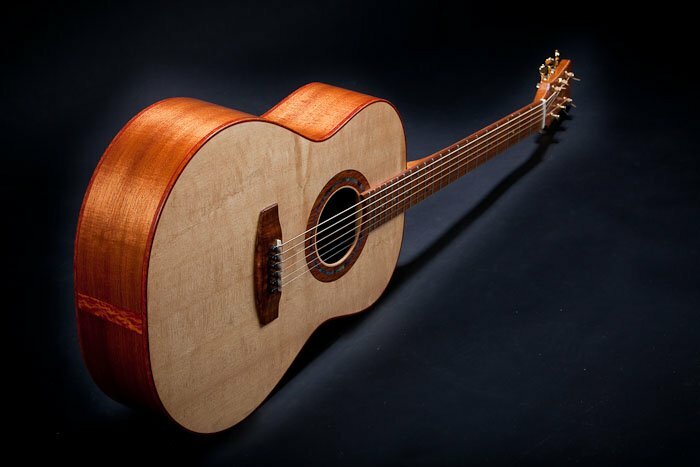 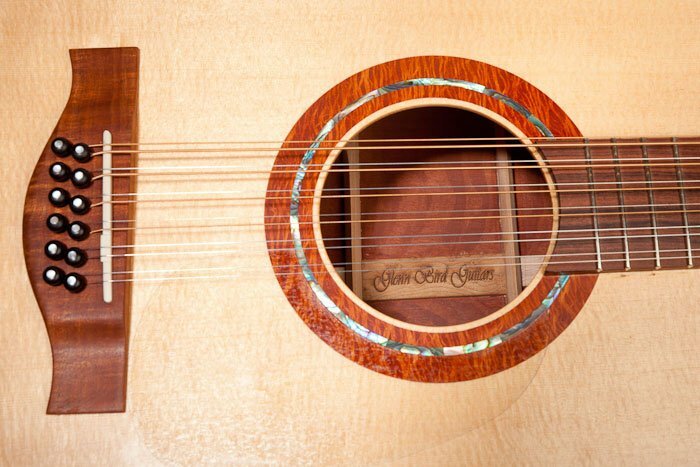 Custom hand made Acoustic Guitars, using our own beautiful Australian tone woods, as well as other tone woods and exotic timbers from around the world. 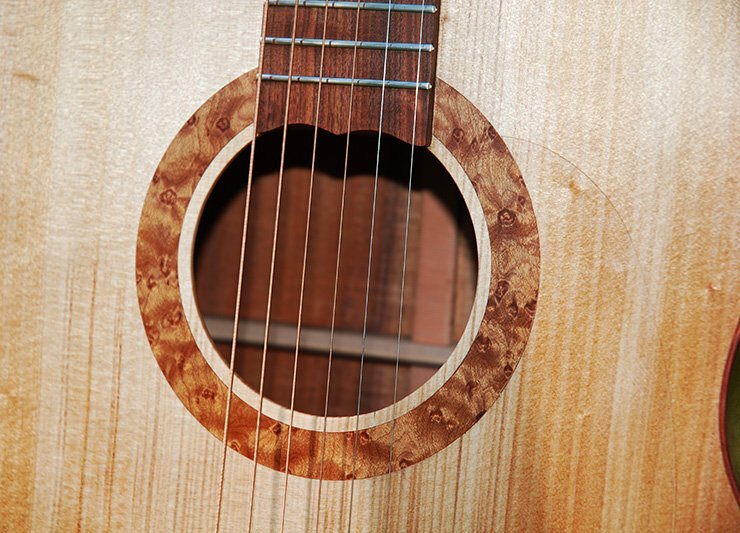 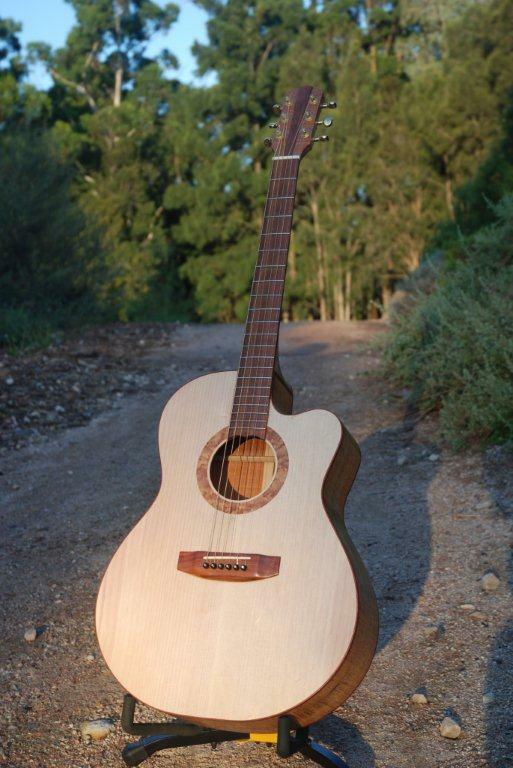 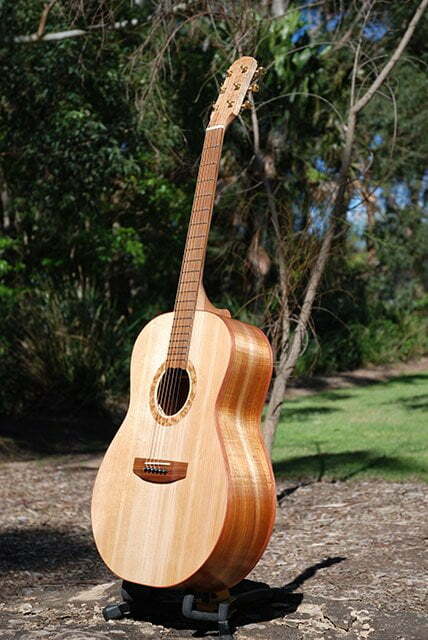 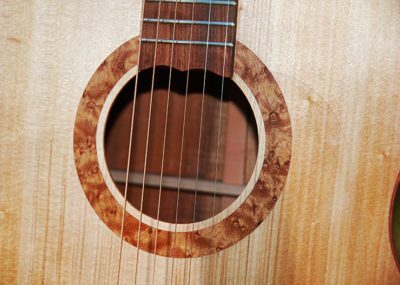 12 string acoustic guitar with veneer of Western Australian She Oak at the back of the headstock and volute. 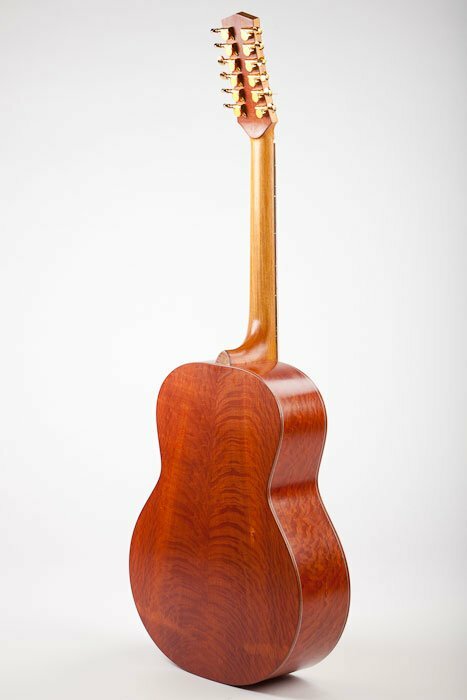 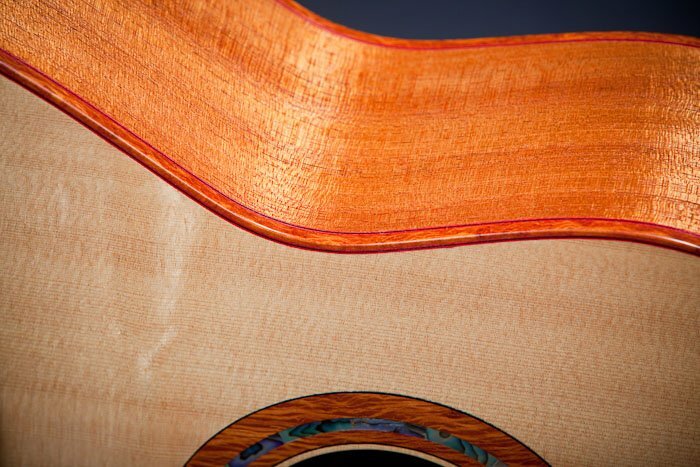 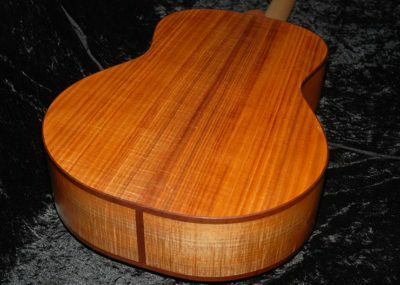 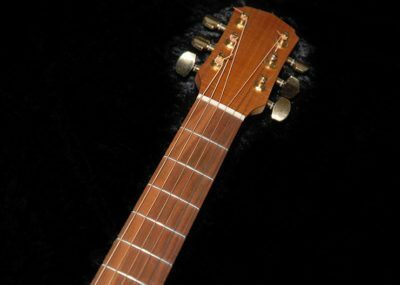 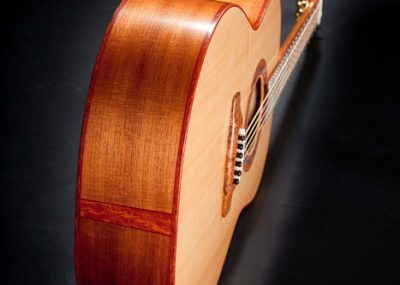 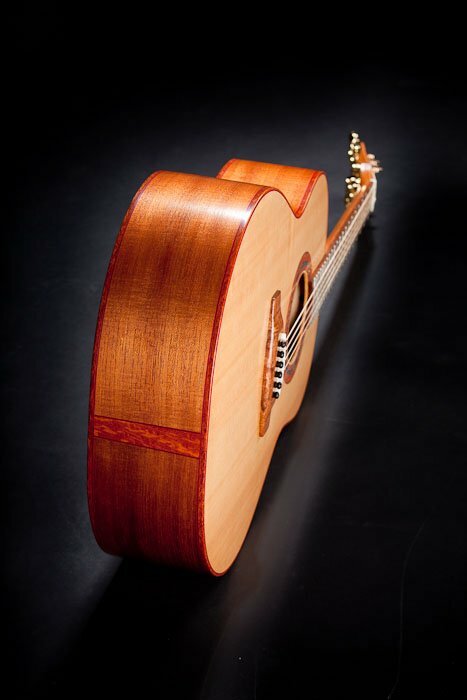 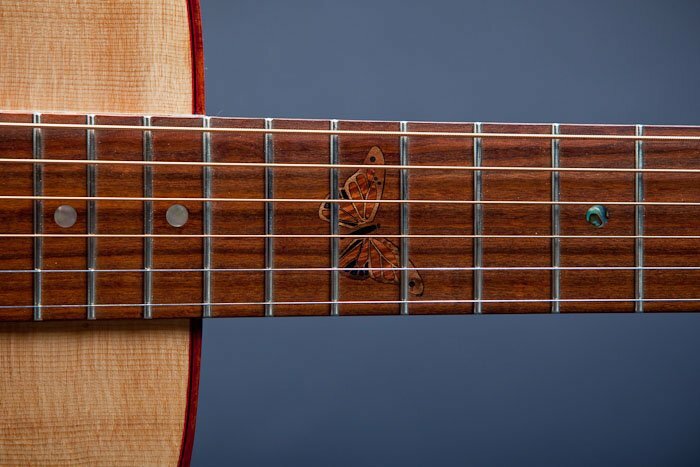 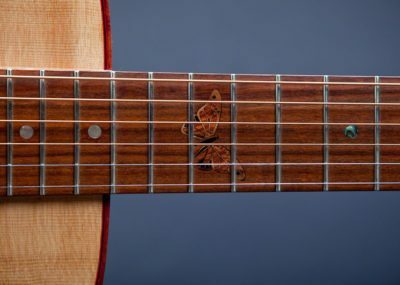 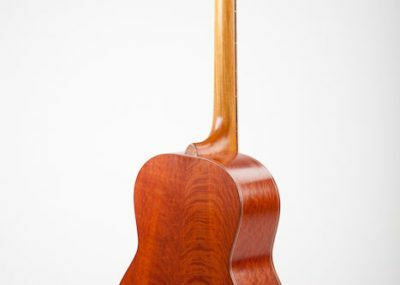 The neck is made of New Guinea rosewood. 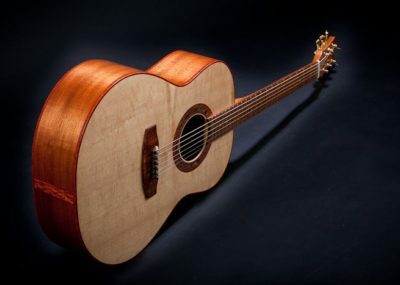 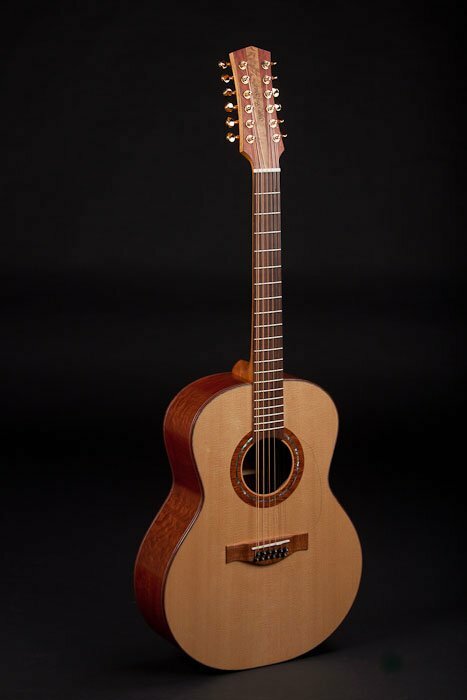 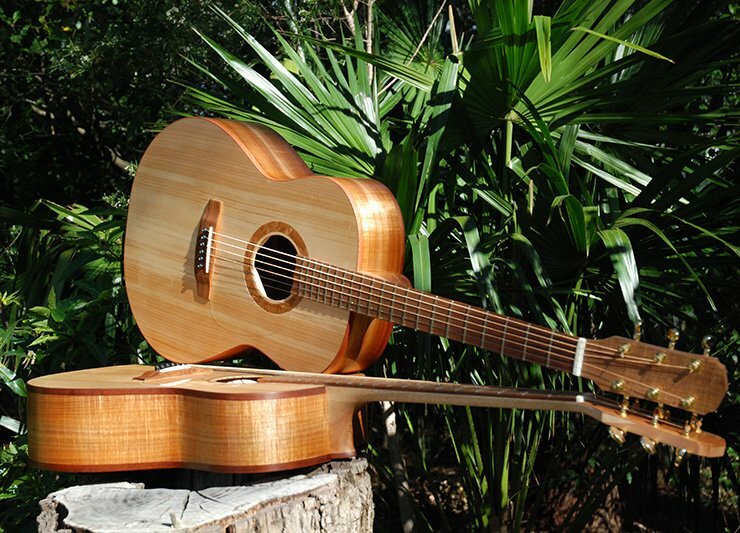 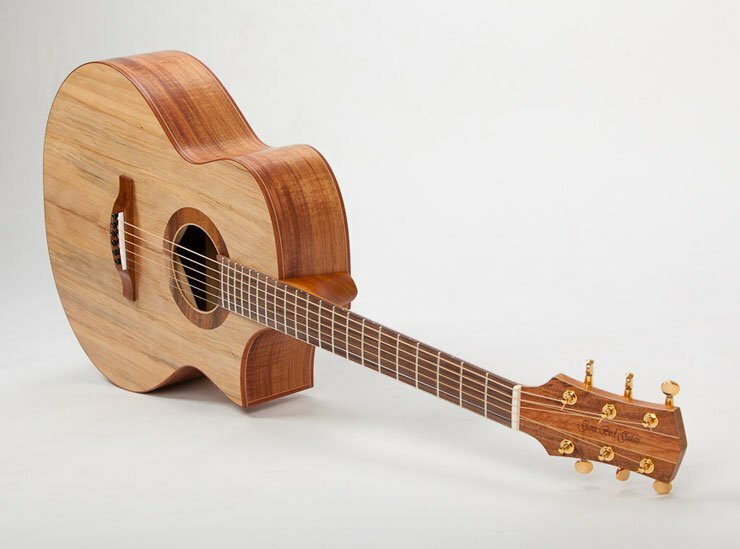 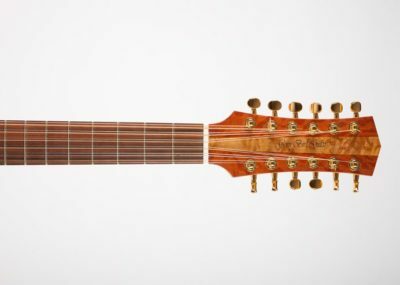 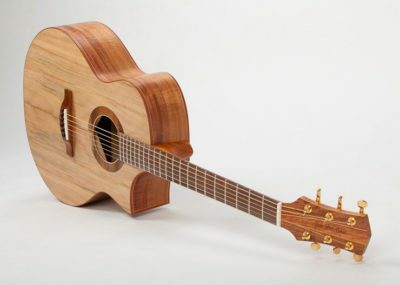 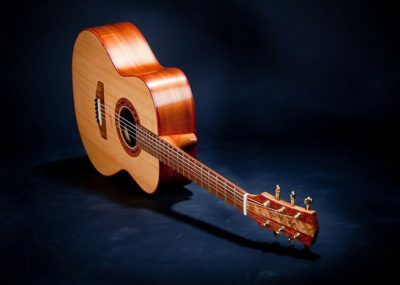 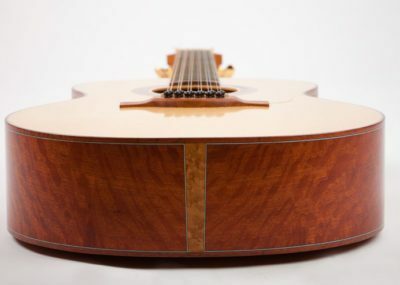 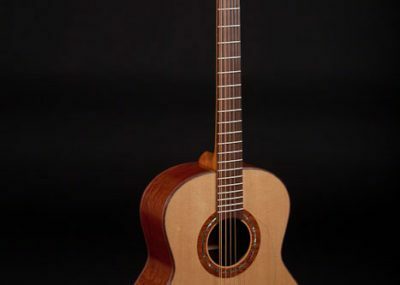 Custom hand made acoustic guitar with cutaway body featuring a fluted arm comfort bevel aiming sound to player’s right ear to provide an enhanced playing experience. 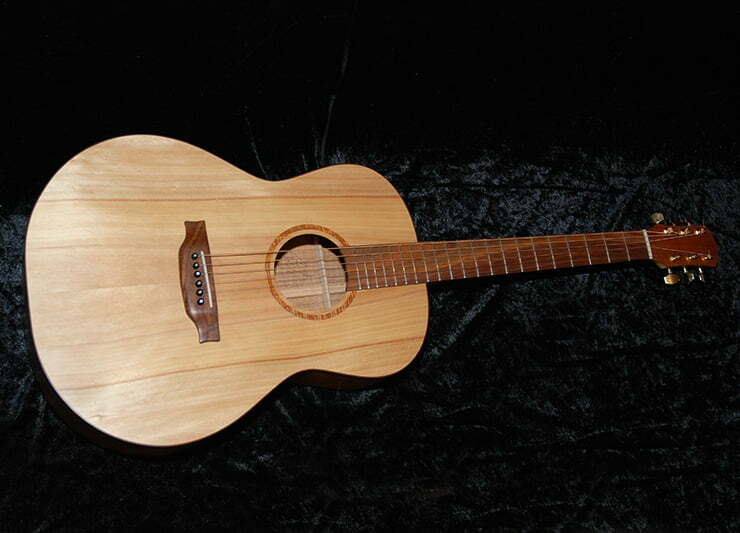 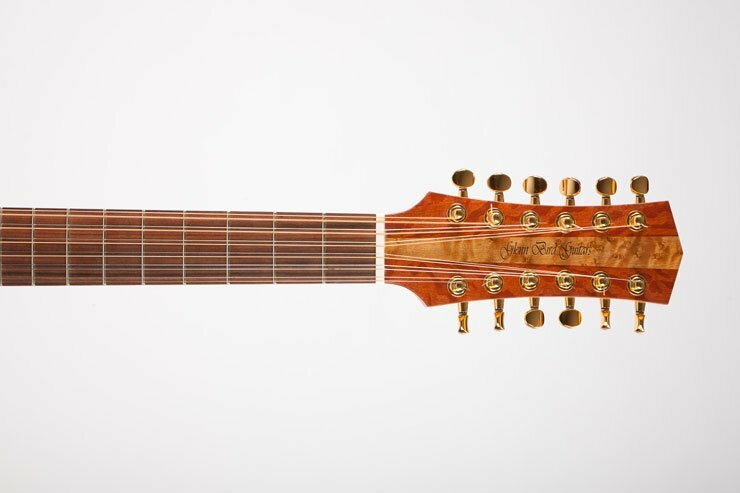 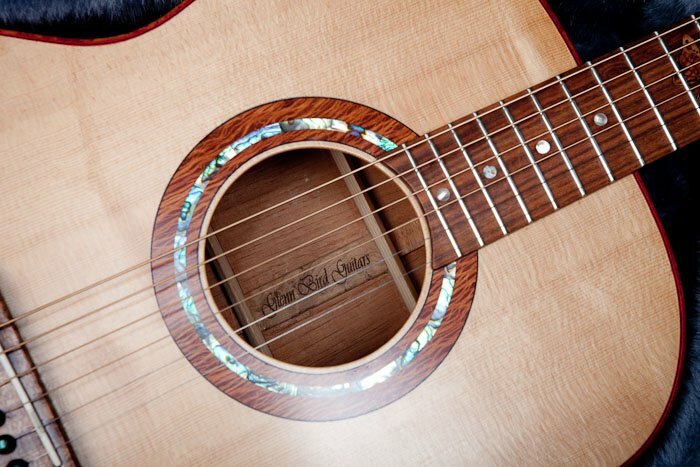 The Glenn Bird Belle Grand, with or without cutaway, is a more modern looking acoustic guitar. Because of the larger area in the lower bout it has a fuller even tone. 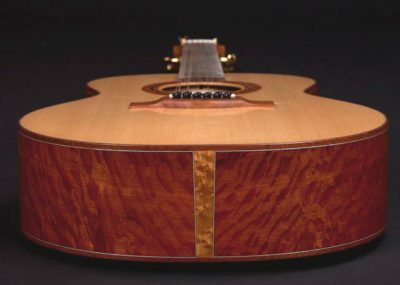 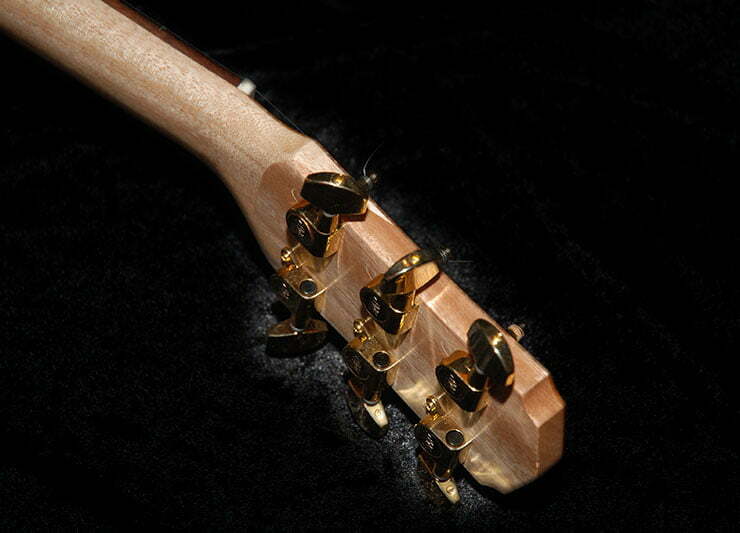 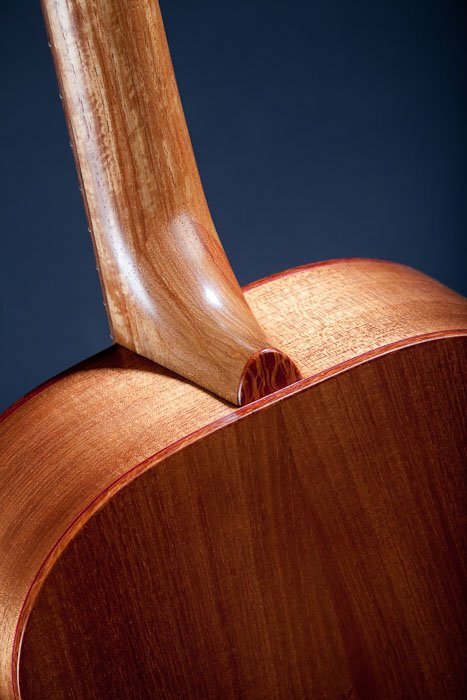 The tail of a 12 string acoustic guitar showing bird’s eye maple end graft. 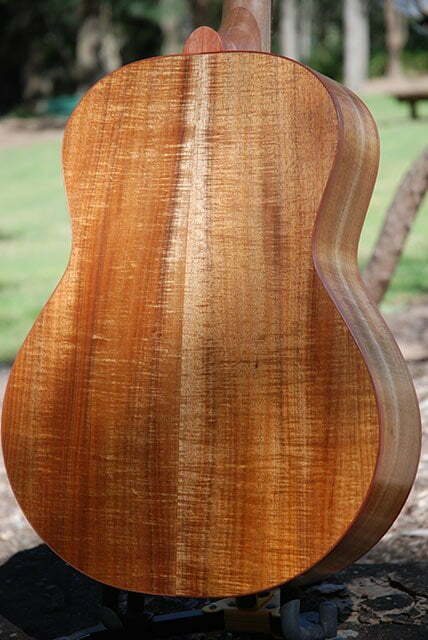 Back and sides are Western Australian (WA) She Oak with blue-white-blue perflings. 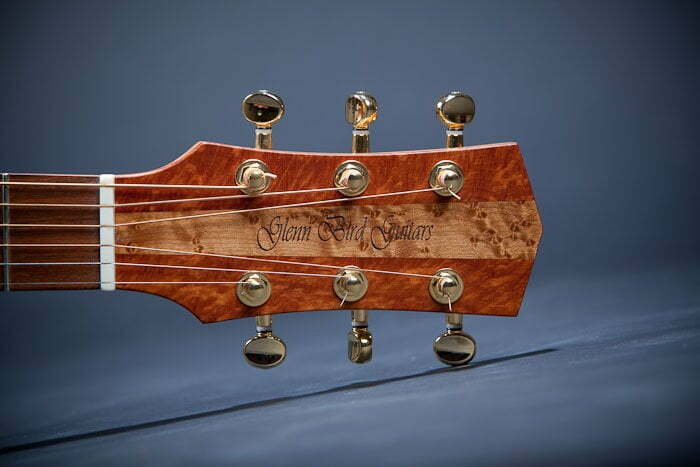 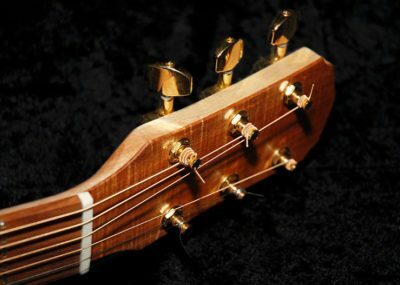 The twelve string headstock has Western Australian She Oak veneer and a Birds Eye Maple name strip. 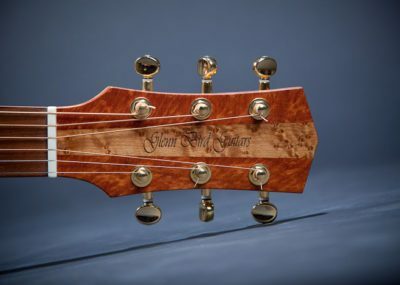 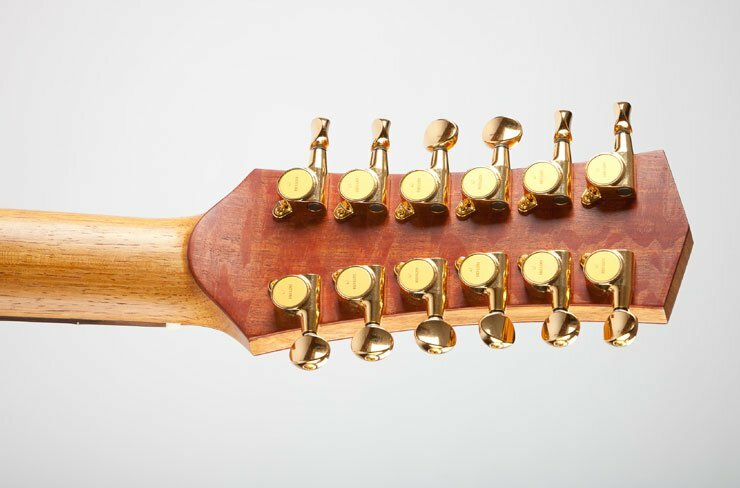 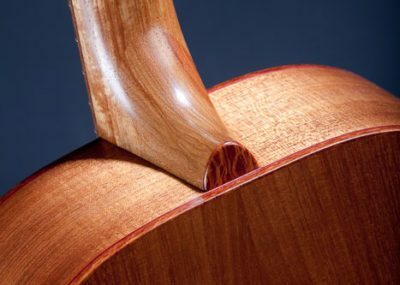 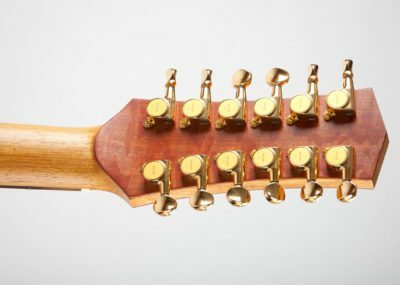 The neck has a bone nut which is common to all Glenn Bird Guitar models because of the better sound you get. This guitar also features a Santos Rosewood fretboard. 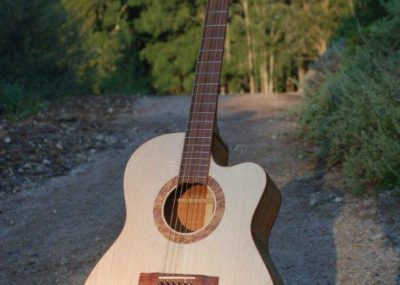 This is one of my Southern Belle steel string Acoustic Guitars, hand made using all Australian timbers, beautiful tone and great playability.